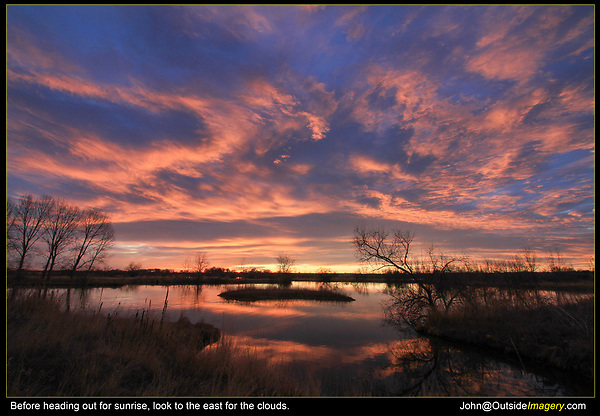 As you're heading out to photograph a Front Range sunrise, check the skies to the east. Clouds to the east usually means that's where the color will be and where you'll want to point your camera. These same clouds will also cast shadows on the mountains you probably wanted to photograph. Rocky Mountain National Park tours.